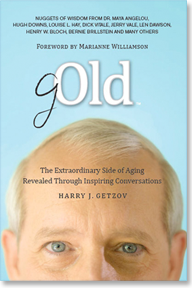 Prior to developing Eldercation and writing gOld, Harry J. Getzov worked as an attorney in the music and entertainment business, first as Vice President of Business Affairs at Atlantic/Select Records and then as a solo practitioner, counseling artists in the music, theater, literary, television and motion-picture industries. He also served as personal manager for several well-known entertainers, including The Jerky Boys, who, under his guidance, achieved international success in music and in comedy, selling millions of albums and videos, as well as starring in their own major motion picture. The Jerky Boys were twice nominated for Grammy Awards as Best Spoken Word recording artists. 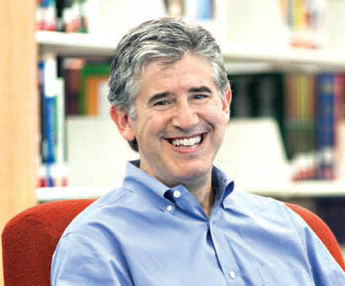 In addition to a degree of Juris Doctor from Emory University School of Law in Atlanta, Georgia, Getzov obtained a bachelor’s degree from Boston University’s College of Liberal Arts and studied at the Brookdale Center on Aging of Hunter College in New York City. He has been admitted to the practice of law in the State of New York and the Commonwealth of Massachusetts. His articles have appeared in The Huffington Post, the New York Daily News, Newsday, The Dallas Morning News, The Kansas City Star, The Press Journal, and amNew York, and he has been a guest on radio in the communities he has visited throughout the country. Getzov speaks frequently to students as well as to public and private audiences about Eldercation and intergenerational communication.